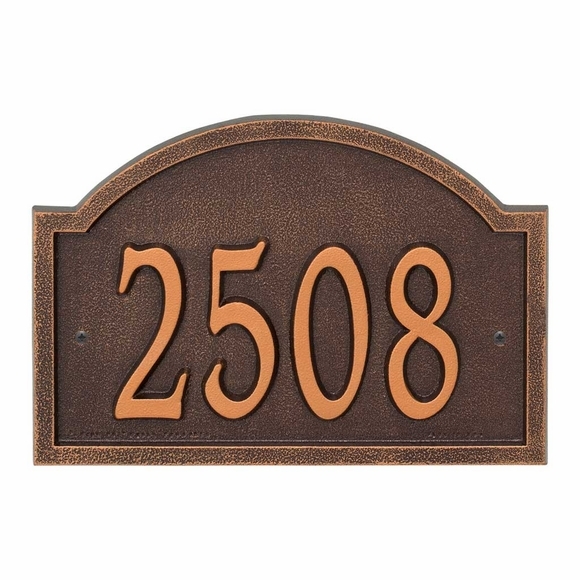 Comfort House Arch Shape Metal Address Number Plaque - - features a bold font on a traditional arch design. Free Personalization. Made in USA. Dimensions: 11"W x 8"H x 0.325; weighs 3 pounds. We were elated that our house sign arrived in time for Christmas. We ordered the antique brass and it is beautiful and excellent quality!